As a partner with one of the most recognized companies in the world, Pushnami will receive business, technical, sales, and marketing resources that will better help them serve their customers. Austin, TX, March 25, 2019 --(PR.com)-- Pushnami, the top AI powered cross-channel online messaging platform, has announced its new partnership with AWS Partner Network. As a partner with one of the most recognized companies in the world, Pushnami will receive business, technical, sales, and marketing resources that will better help them serve their customers. Pushnami’s partnership with Amazon will last through the calendar year and will allow the company to expand and achieve their business objectives, which include delivering browser-based push notifications to people across all devices, including Facebook messenger. With Amazon’s partnership, Pushnami will be better able to bring messaging and marketing to their clients across the globe while continuing to maximize their clients’ results. Pushnami customers have reported a 24% increase in website traffic, as well as an 18% increase in average subscription rates. With an Amazon partnership, Pushnami can reach a wider range of people throughout the world, which will allow them to deliver unprecedented responses for their customers. The company knows that multi-channel marketing is essential for successful campaigns, and understands that their customers can benefit from the partnership with Amazon as well. Staff members at Pushnami are able to take advantage of the tools and resources the Amazon partnership provides so that they can learn and grow for the benefit of Pushnami’s customer base. As the first push notification platform that can reach iPhones using Facebook messenger and an automated message selection option, Pushnami has been able to recruit staff members that can make a difference in each customer’s business plan. The Amazon partnership adds value to each staff member’s knowledge base. Throughout the year, Pushnami expects to create unique experiences for each of their customers as they use the tools that the Amazon partnership provides. 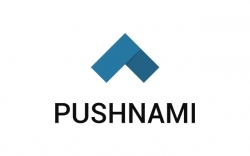 About Pushnami: Pushnami is the top AI powered cross-channel messaging platform, specializing in browser-based push notifications. Supported across all major browsers and mobile devices, Pushnami makes installing push notification capability as simple as point and click. To learn more about Pushnami and the power of over 45 billion notifications and counting, visit https://pushnami.com.